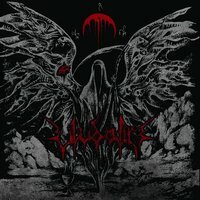 ULVADIR, a Black Metal band originating from Saint Petersburg, Russia, focuses on creating gloomy, evil and atmospheric Extreme Metal in the form of an eight track record by the name of “…Of Death Eternal.” The band’s discography so far contains three past LPs, which is possibly why their fourth and most recent is so polished while remaining spectral and true to the roots of second-wave-era Black Metal. The album begins with a murky instrumental, before diving straight in with “Awakening” - with primal, bestial vocals calling out into the distance in a dying, isolated fashion. While not the most obscure Black Metal you’ll hear, the Doom-influenced guitar work and foggy obscurity delve into a different realm of depression, utter depravity and a feeling of impending doom. Winterheart cries out into the night in a vocal technique that is loosely similar to early BURZUM and Jon Nodtveid. In the track titled “Swords of Belial” a different approach is taken in terms of a more upbeat, guitar driven tempo. The eventual combination of choir-like vocals, a lengthy guitar solo and thunderous drums are abstract art, each feeding off of the other as the track fades into the despair of “Birth Of The Beast”. The track provides ritualistic imagery by the title itself, and at first listen, can be heard as the backdrop in a religious ceremony - and I’ll give you a hint, not a Christian one, either. Through the black pitched, ominous journey of track six “Music Of Cold Spheres” ULVDALIR injects a howling, ferocious sound of faded, incomprehensible vocals into the listener’s brain until they are pronged by the dark, vicious spiritual vibe of “Eternal Angel Of Death Eternal”. It’s the longest track on the record, and personally contains some of the best atmospheric and despairing work the band has accomplished so far. Whoever the Eternal Angel of Death appears to be, they sure provide no warning, and it could very well stand as wicked and notorious as the figure presented on the album artwork. The track is lively, plundered with tremolo picking, and immersed in a pool of evil, nihilistic tendencies shown by the Black Metal veterans themselves. There is an unbeatable raw and impure feeling that comes with listening to this record. Whether it is the first time or the fifth time, from start to finish, it can accommodate the darkest nights of solitude in a freezing winter. ULVDALIR worships death, the devotion to all things nihilist and misanthropic, and ultimately aims to excite true Black Metal enthusiasts with a ceremonial, blasphemic extravaganza.